With approval from the Advanced Television Systems Committee (ATSC), Technicolor's SL-HDR1 standard moves a step closer to adoption as part of the ATSC A/341 video standard, which was recently approved and announced at CES 2018. ATSC members are expected to conclude voting for the proposed SL-HDR1 standard within the first quarter of 2018. Technicolor expects the standard to be approved and integrated into the ATSC's newly approved ATSC 3.0 standard. Closing out the 2017 calendar year, the Advanced Television Systems Committee (ATSC) approved Technicolor's SL-HDR1 amendment to pave the way for the standard's inclusion in the group's existing ATSC A/341 standard. 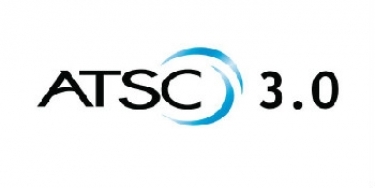 At CES 2018, ATSC took its state-of-the-art broadcast standard a step further by announcing the adoption of its ATSC 3.0 suite of next-generation TV standards. According to the Committee, the adoption of its ATSC 3.0 standard is the culmination of a five-year process to "rethink over-the-air broadcast television service in the Internet age." ATSC states the newly approved standard provides the broadcast community with a choice of options, including Ultra HD 4K, immersive audio and interactive services that utilize web and broadcast connections. "Our suite of ATSC 3.0 standard paves the way for a new kind of television service—one that is far more flexible and adaptable than previous standards. ATSC 3.0 will bring historic innovations to broadcasters and to viewers, from robust transmission to immersive audio, and from 4K Ultra HDTV, to interactive services and more," states Mark Richer, president, ATSC. "The 20 individual standards that comprise the release of ATSC 3.0 will give broadcasters the ability to utilize new transmission methods and finally bring together innovations in both over-the-air and broadcast services." Addressing the popular video technology high dynamic range (HDR), Technicolor proposed its SL-HDR1 standard for inclusion in the ATSC 3.0 format. Through the ATSC's approval of SL-HDR1, which occurred this past December, the HDR standard is expected to be a part of the newly announced ATSC 3.0 broadcast standard. Technicolor explains that SL-HDR1 is a single-layer solution that supports compatibility with all non-HDR equipment. The HDR standard bridges the gap between single dynamic range (SDR) and HDR, and it enables broadcasters to transmit a signal that homeowners with standard televisions and HDR-enabled televisions to receive broadcast transmissions. "SL-HDR1 technology allows a broadcaster to deliver a signal that can be rendered as SDR, as well as HDR. The bitstream is SDR and it contains an extra packet, which enables HDR reconstruction," states Alan Stein, vice president of technology and standards, Technicolor. "This packet is metadata that in essence, reconstructs the HDR signal as it was captured or constructed. The metadata is encapsulated in the video bitstream. Devices that don't support HDR will simply ignore that part of the bitstream, while devices that support SL-HDR1—for example, LG TVs—read the metadata, decode it and reconstruct HDR video." In addition to its review of video technologies to include in its ATSC 3.0 format, the ATSC has also been evaluating companion audio formats. As part of its evaluation process the ATSC has examined audio technologies that include the MPEG-H Audio format, and Dolby's AC-4 audio system. On Feb. 23, 2017 the ATSC released its "ATSC Standard: A/342 Part 2, AC-4 System" report that includes an outline of Dolby's AC-4 codec as part of the ATSC 3.0 standard. Summarizing the use of Dolby AC-4 as part of the 3.0 standard, the ATSC says the Dolby solution is a scalable and flexible set of tools that enables efficient production, distribution and delivery of consumer broadcast content. AC-4 supports traditional multichannel audio content, object-based surround sound, intelligent loudness management, dynamic range control, and high sampling frequencies up to 24-bit/192kHz. The ATSC does emphasize, however that "part one of this standard constrains sampling frequency to 48kHz ... the AC-4 bitstream is structured such that bitstreams with high-sampling frequencies can be decoded to PCM at 48kHz without any penalties." Looking ahead, Richer says the ATSC is preparing to deploy the 3.0 format, including its Internet-based options this year. Gordon Smith, president and CEO of the National Association of Broadcasters (NAB), points out the broadcast market is ready to take advantage of the full breadth of ATSC's 3.0 technologies to help entertain the public. "Broadcasters stand ready to take full advantage of the capabilities of the new voluntary standard, which can seamlessly mix both broadcast and broadband content to deliver enhanced information and entertainment for our viewers," says Smith. "One of the most compelling new features of ATSC 3.0 wil be the rich media emergency alerting capabilities, allowing local broadcasters to target viewers in specific areas in their markets when disaster looms. Our viewers depend on their local stations for breaking news and information, and ATSC 3.0 gives local stations the ability to merge resources and information like never before." Gary Shapiro, president and CEO of the Consumer Technology Association (CTA), notes the ATSC 3.0's combination of state-of-the-art video technologies, along with audio and interactive content, will offer the public a new way to experience television. "Coupled with the latest innovations in display and audio technology, Next Gen TV, powered by ATSC 3.0 will offer a breathtakingly immersive viewing experience with access to an array of innovative and interactive information services," adds Shapiro. "While we forecast sales of digital displays to increase in 2018, we anticipate future growth will be driven in part by this exciting new technology and the amazing feature it brings."